Geo. 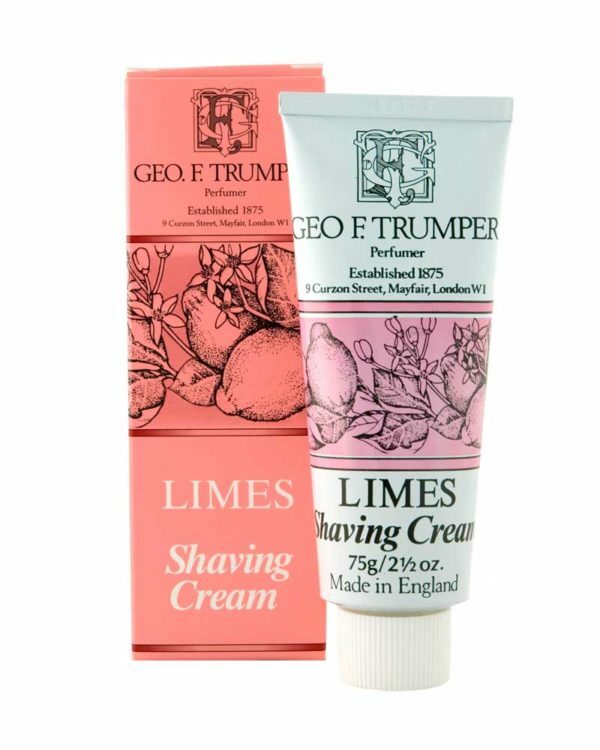 F. Trumper’s best selling glycerine based Limes Soft Shaving Cream in a traditional metal tube for use both at home or when travelling.. Only a small quantity is required to produce vast qunatities of rich lather. Suitable for normal to dry skin. Geo. F. Trumper’s best selling glycerine based Limes Soft Shaving Cream in a traditional metal tube for use both at home or when travelling. Only a small quantity is required to produce vast qunatities of rich lather. It’s suitable for normal to dry skin. 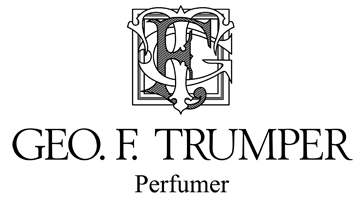 Trumper’s world famous glycerine based soft shaving creams are available in nine fragrances from the classic Sandalwood and Coconut to the cologne based Spanish Leather. Whichever scent you choose, the creams will bathe the face in a rich lather to ensure a smooth, comfortable shave. Bright green bursts of life-force charge from the tangy sharpness of tropical limes, vibrant citrus flashes allow a gentleman’s mind to surge with the majesty of life. And as every pore is infused with the zing and zest of freshly squeezed West Indian limes, so an exhilarating thrill is marvellously bestowed. Lather a hazelnut-sized amount with the help of a shaving brush in your hand or in a dish. Apply the rich lather on the facepart to be shaved. Then enjoy a comfortable, close shave.